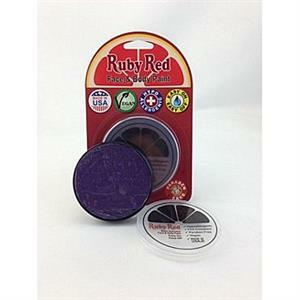 Snazaroo face paints are one of the leading brands on the market. We stock a full range of colors in the popular 18ml size. I started out with Snazaroo and loved it. But then some other face painters who'd been to big conventions told me that was amateur and I need to "move up" to some other brands (I will not name). Well, after using them, certain colors were a little better, but I noticed my brushes didn't come as clean as they did with Snazaroo. Then a mother complained on how difficult it was to remove (I work at 3 restaurants face painting weekly). I ran out of the "new" stuff & found an old Snazaroo I had. It still worked great and I realized it went on and looked as good at the more expensive stuff, but washes off easier. I'm back using mostly Snazaroo now for my basic colors!! !